When families choose to cremate their pet, these unique urns will accent the home and look beautiful on display. The urns are made from natural products and therefore also safe to bury with a pet's ashes. The urns are made Fair Trade. 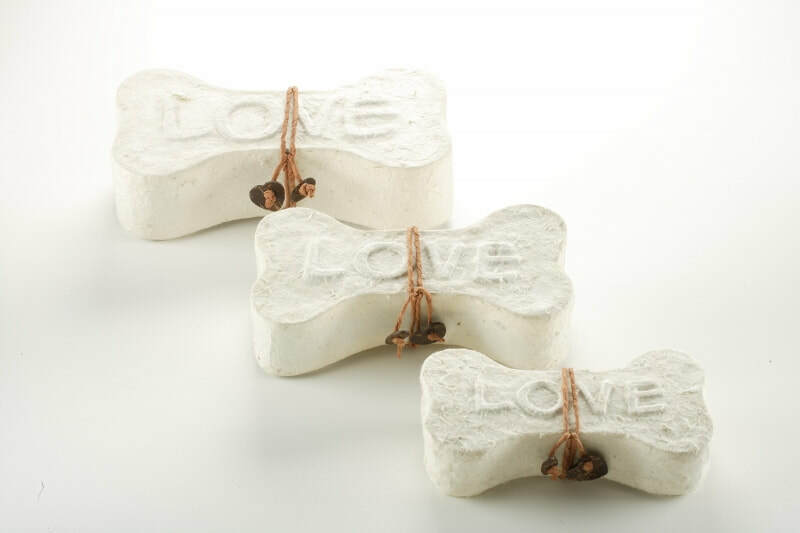 Made of natural materials, the Dog Bone Urn is an ever‐lasting and handcrafted memorial inscribed with the word ‘Love’. Handcrafting means no two urns in the series are exactly alike, just as no other dog is exactly alike. People can personalize the urn by attaching their dog’s tags to the twine closure. Our handcrafted Ball of Yarn cremation urn is a lovely tribute to cherish a feline companion. 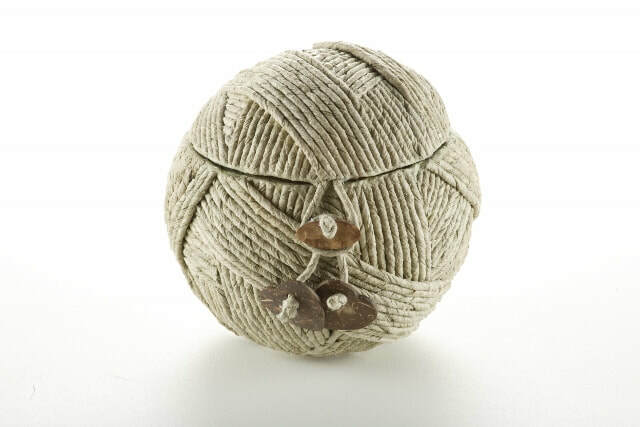 Made of natural materials such as coconut shell and mulberry bark, the Ball of Yarn is an ever‐lasting, handcrafted memorial for home or burial. Handcrafting means no two urns in the series are exactly alike. 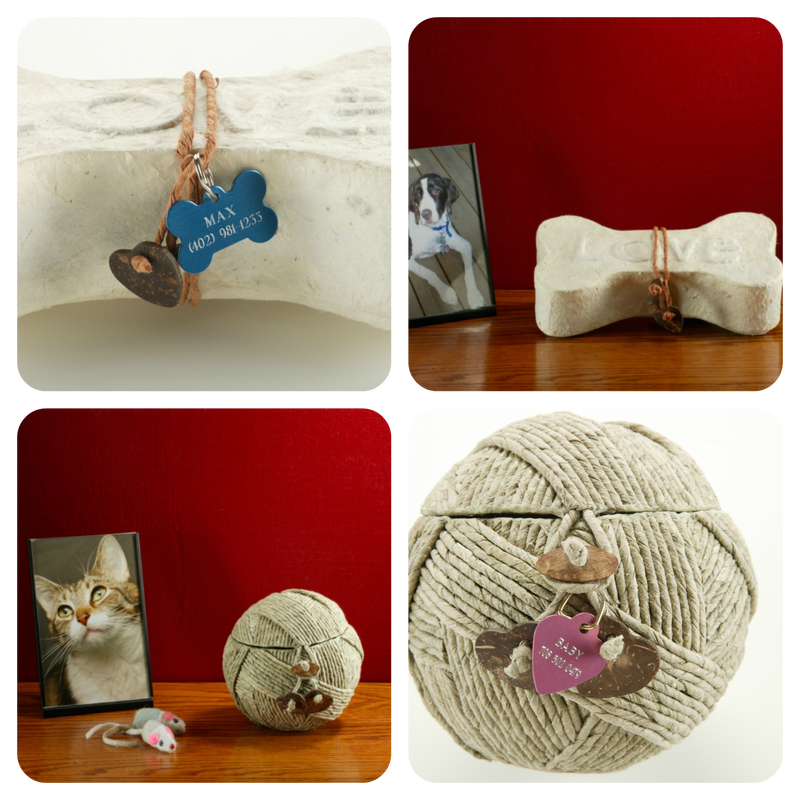 Families can personalize the urn by attaching their cat’s tags to the twine closure.